PPO™ is a software tool that enables the evaluation and prioritisation of all proposed and in-flight projects by their overall contribution of their strategic value, do-ability, investment, and time to benefit. The PPO™ tool is founded on strong methodology delivered through a pragmatic 7 step process that enables an organisation to manage scarce resources to achieve the "best bang for your buck". 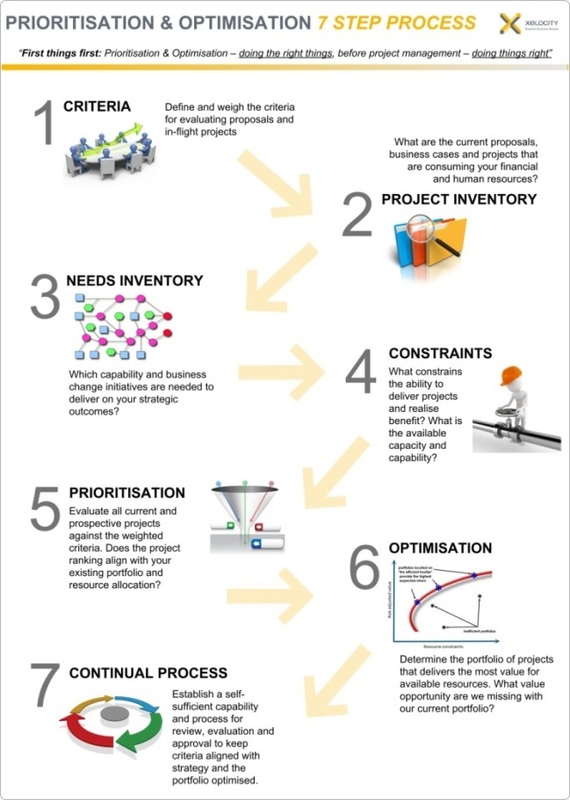 The PPO™ tool assists with prioritisation of projects and identification of gaps in realising strategic objectives to support effective decision making based on an optimised portfolio. Do we know if we are doing the right projects? What combination of projects will give us the most value from our constrained resources? What projects can we or can’t we deliver? Is benefits realisation likely from the current projects? The purpose of a portfolio is to be able to select project investment that will best enable the achievement of the organisations strategic goals. Reducing waste and increasing value creation opportunities by 20%-40% (UMT Portfolio Management).